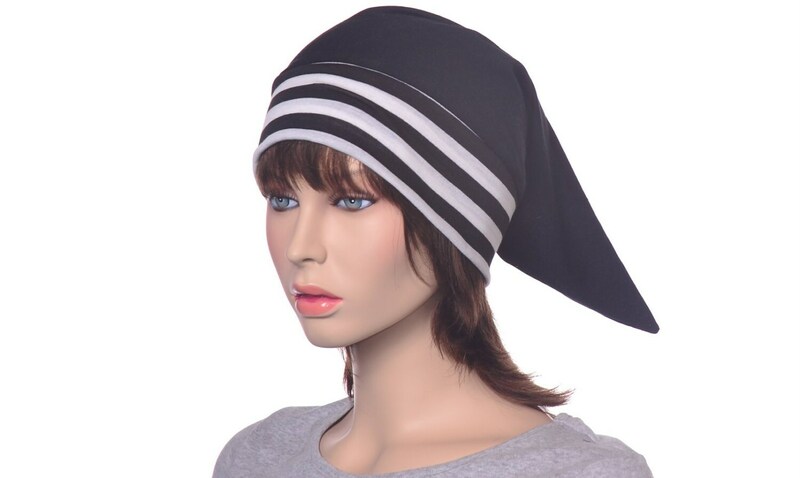 Black white striped night cap made from tissue weight rayon jersey knit. 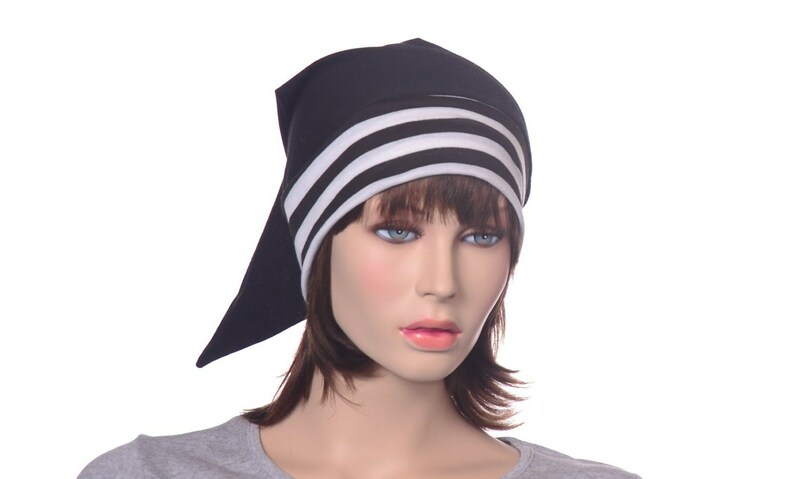 This hat has a black body with black and white striped headband. 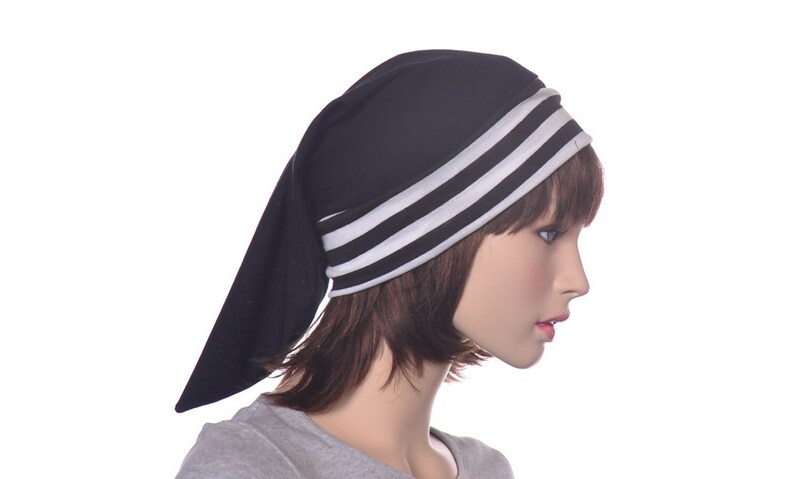 The headband is double thick. Traditional Nightcap with a pointed tip. 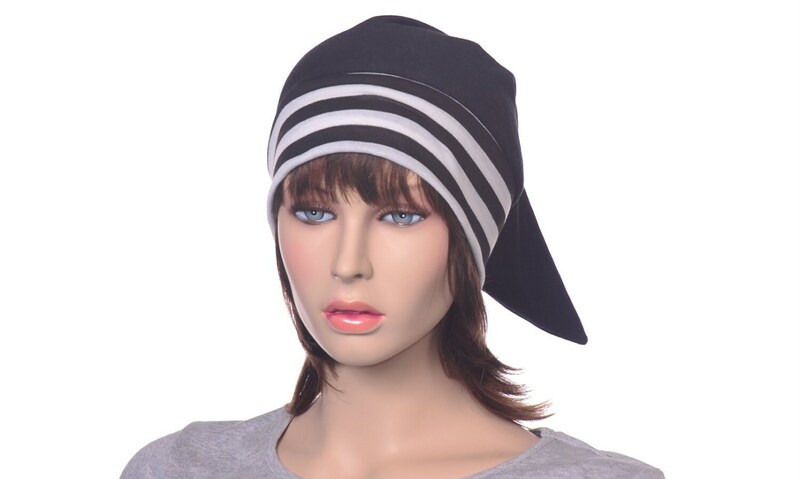 This hat fits 22-24 inch head. 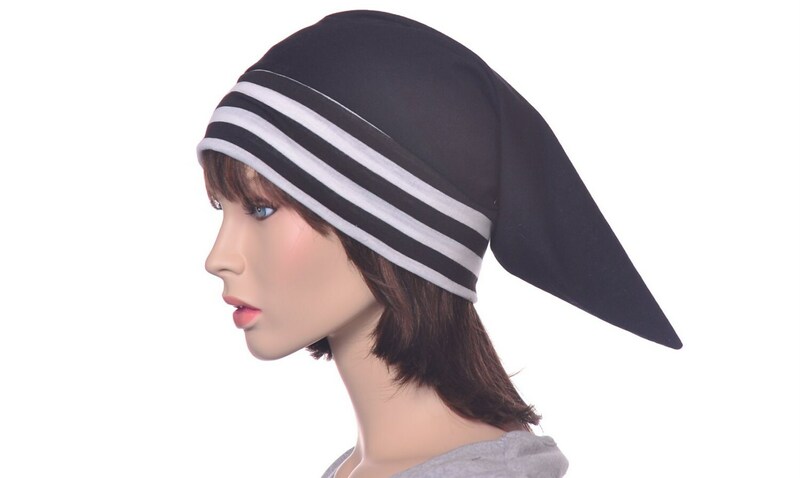 This is a lightweight and comfortable sleep hat.